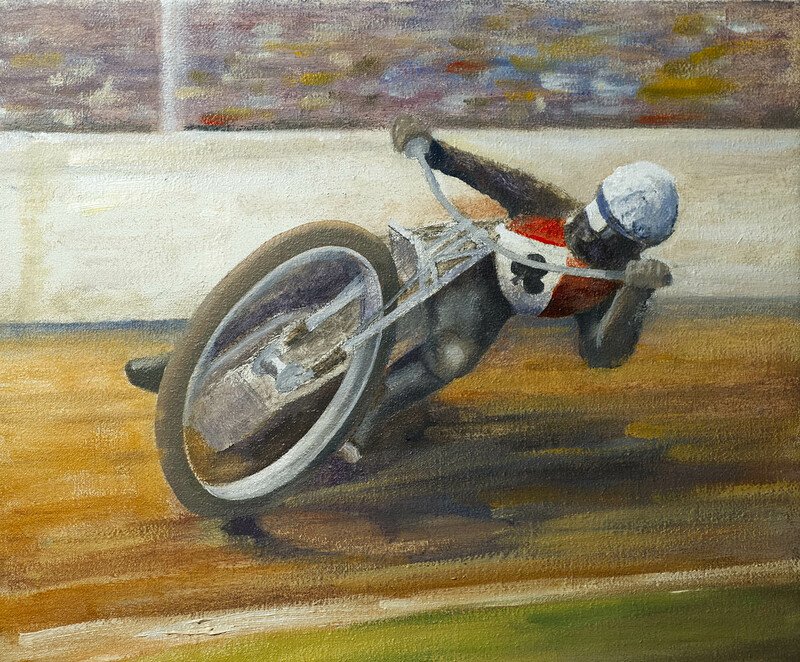 After my recent visit to the speedway museum I looked out a wee oil painting that I had put aside having started some time ago and then quietly lost interest in. Today, in between looking out the window at the flying branches,slates and rain, I had a go at it again. So now it’s about halfway done and I think it’s going to be OK. When I first started drawing it was mostly motorbikes. Until the time I could be competing on them myself. Meadowbank Stadium in Edinburgh wasn’t always an athletic one. It was built for the Commonwealth Games on top of the bulldozed speedway track. Speedway is pretty awful nowadays but in the Sixties and right back to the Twenties, it was second only to football (bah!) as a spectator sport. Meadowbank Speedway was a magnificent purpose-built track and near the end of its existence there was a visit to the Edinburgh Monarchs from the Belle Vue Aces team. Their captain and the reigning World Champion was this wonderful wee man. “The Wizard of Balance” he was called, although “The Wizard” would have been enough. Anyone there that fateful night will always remember the last race of the great Peter Craven. The Month of the Halberstadt. And another aeroplane featured in December of NEXT year’s one too! 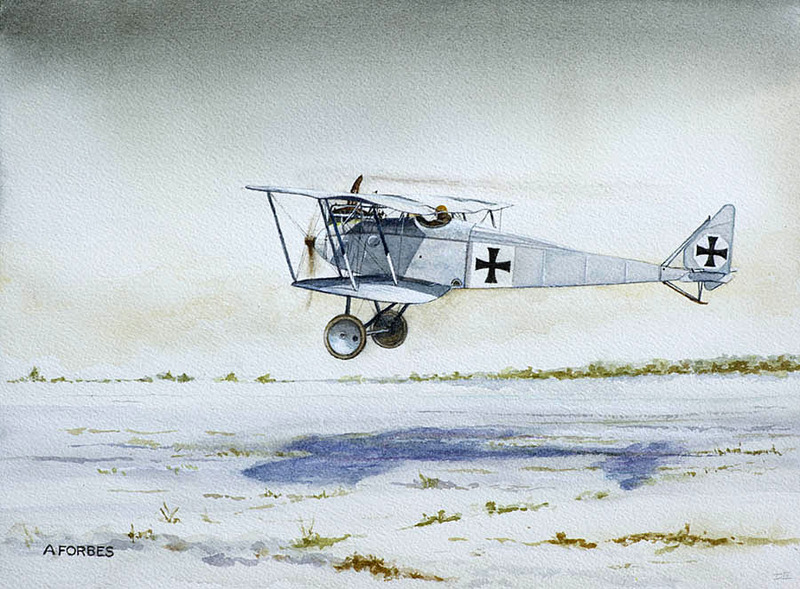 The Halberstadt was most elegant and the first successful German biplane fighter of the Great War. It’s common conjecture to reproduce them as being finished in either natural doped linen or in light blue. Having studied and compared tonalities though, I’ve my own theory that they could have been silver-doped. So that’s what I’ve tried to go for here. Right or wrong? Nobody around who could say…..
We’ve a fine graveyard almost opposite us wherein lie a good many of our illustrious Edinburgh Great and Good. In the light of my previous post about bridges, here’s a man who’ll long be remembered as the designer of the ill-fated first Tay Railway Bridge. A man reportedly rather better at self-promotion than he was at stress-calculations. He didn’t last another year after that great fall. 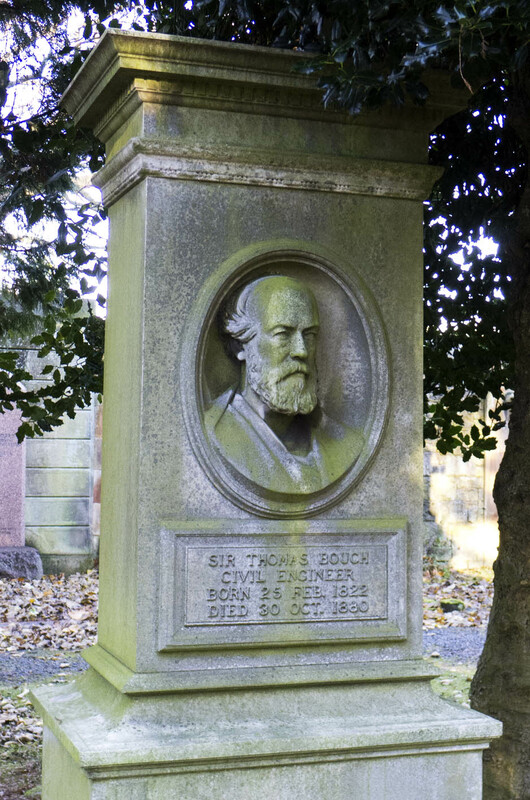 Even in a sun-dappled graveyard, Thomas Bouch remains in shadow.